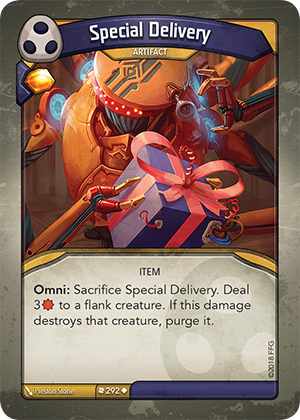 Omni: Sacrifice Special Delivery. Deal 3 to a flank creature. If this damage destroys that creature, purge it.